Enjoy a comfortable and inviting home that delivers energy-efficient climate control that can be activated on a schedule, or with just a few taps on your phone or touch screen. Integrate your automation system with your existing HVAC, radiant flooring, forced air, dual fuel and geothermal systems. Enjoy convenient management of your pool and spa, and enables easy communication for your family. Allow temperature and humidity to adjust according to the season. Even light the fireplace without ever leaving the couch. With a smart thermostat, you can have an easy-to-use interface for adjusting the climate. You can control temperature, humidity, and fan settings from your home or on the other side of the planet. 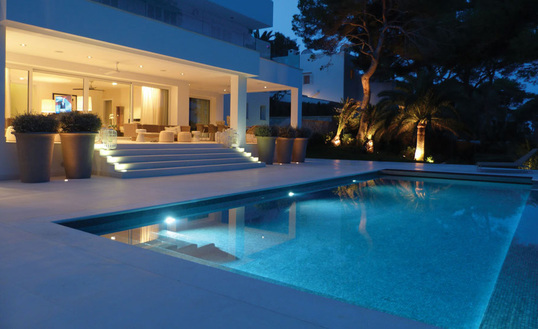 Pool and spa control make it easy to turn on the heat, set the temperature or crank the jets. Create your dream space outdoors with beautiful lighting, backyard music and an outdoor TV. And it is all controllable by the same easy-to-use interface that you use inside. ​Replace your doorbell with an elegant door station to see who is at the door without getting off the couch. Unlock the front gate with one tap, right in the same interface.